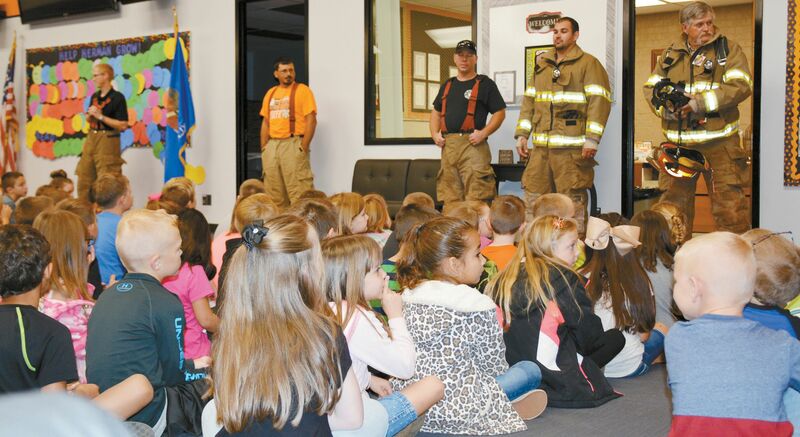 LEARNING..Cheyenne Volunteer Fireman talk to Cheyenne Elementary students about Fire Prevention last Friday. Firemen present were Kevin Mohr, Michael Boyett, Levi Carter, Garret Logan and Dan Dye. See more photos inside. Draggin Main ~ A Family Night of Great Activities!